Importance of Advertising - Why Advertising is Important? Post: Gaurav Akrani. Date: 1/03/2013. No Comments. Label: Advertising. The following image depicts the importance of advertising. 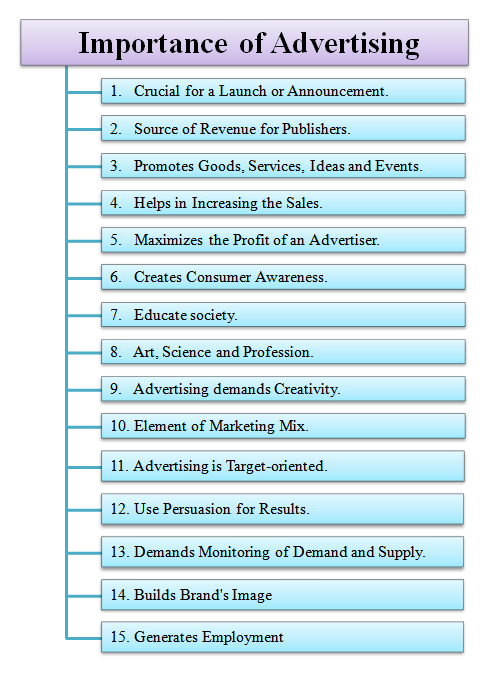 Above points, highlighting advertising importance are explained below. Now let's find out, why advertising is essential for business? Advertising is crucial for the launch (introduction) of a brand new product, service or idea in the market. If the advertisement of any concerned product, service or idea is done correctly at a right place, through proper media, and within a particular time constraint, can attract many new customers. It helps to capture the market and increase sales of an advertiser. It is also essential for announcing an upcoming event. It acts as an open invitation that maximizes the chances of event attendance. However, if people are unaware of any such happening, they may not show up. As a result, the event may not get an expected response. Hence, it also contributes to the success of an event. Advertising is a prime source of revenue for publishers of mass media like newspapers, TV channels, magazines, websites, so on. The input cost involved in processing any valuable information is usually higher than its selling price. A publisher's expense rises due to various data gatherings and information-processing activities like research (investigation), professional writing, editing, proof-reading, publishing in the form of printing or digital web hosting and distribution. It pays publishers their input costs and in return use their media platform as a medium to reach maximum number of people. Indirectly, because of it, customers of publishers (who are mostly readers or viewers) also get affordable access (or sometimes even free access) to high-quality information databases. For example, newspapers sell for pennies, although their input costs are very high. Most online websites give free and unlimited access to their information database for 24x7 because most of their input costs recovers from sponsors and ad-networks. Without its support, the publishing industry (both print and digital media) may not survive. For example, today, the U.S. newspaper industry is falling due to the emergence of online digital media and plummeting demands for print media. Many newspapers in America are either laying off their staff or totally closing down due to losing their major ad revenue, primarily earned from classified ads. The availability of free online classified services like Craigslist has compelled many newspapers to either pack up or adapt to the new digital age. 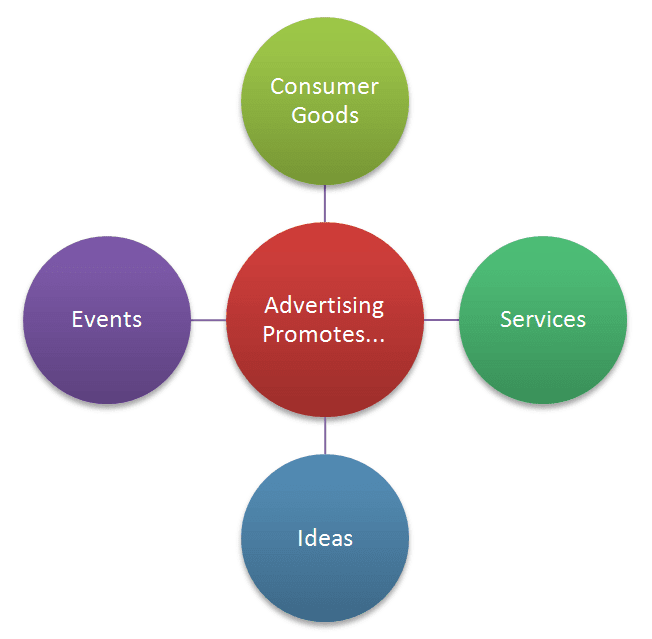 Advertising is done to promote goods, services, ideas, and events. Consumer goods under cosmetics, electronics, eatables, stationary, jewelry, textiles, etc. Services provided in sectors like banking, insurance, hospitality, air travel, consultancy, healthcare, education, so on. Ideas. For example, an entrepreneur encourages the general public to invest in his business ideas. An event during a festival or gatherings likes exhibitions, ceremonies, rallies, etc. Advertising spark an interest of advertised products and services in the masses. Interest creates demand in the market. The growing demand soon results in higher sales. Eventually, the advertiser fulfills his main goal of investing in an advertisement. However, to continue with such a growth in sales, the advertiser or merchant must also maintain a good price-quality ratio along with regularly running his ad campaigns. Advertising helps in increasing sales and control the cost borne by the advertiser. It helps to widen the gap between his sales and incurred cost. With maximizing sales and lowering cost, the profit of an advertiser grows. Thus, it aids in maximizing the profit of its advertiser. Advertising creates awareness by informing consumers. Awareness: It creates an awareness among consumers about the availability of any particular product or service in the market. It attempts to convey them why an advertised product or service is better than other alternatives currently available in the market. Information: It informs a consumer, mainly about; various features, benefits, price and use of an advertised product or service. It also gives information about the brand name or trademark used, the address of a manufacturer or a service provider, and other relevant details to the consumer. While creating awareness and supplying relevant information, it ultimately helps a consumer to make a right choice in his or her purchase. Advertising has a remarkable ability to reach masses and educate the society. Therefore, many Governments and even Non-Governmental Organizations (NGO) often take help of advertisements to reach and educate people on important social issues. 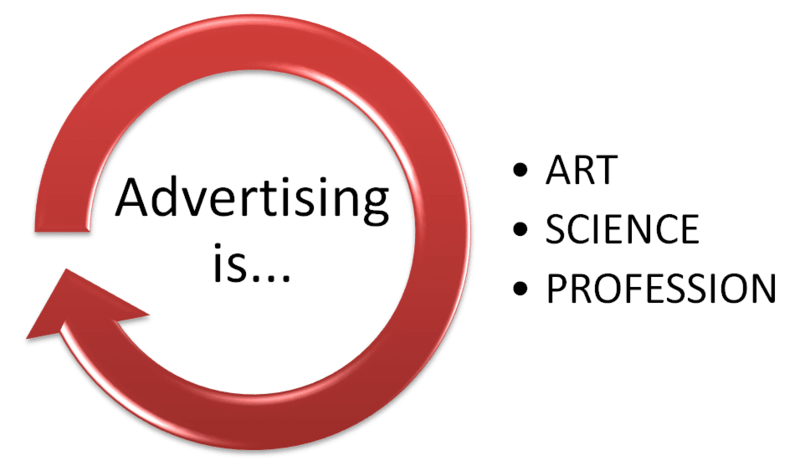 Advertising is all; art, science, and a profession. Art - because it needs creative skills. Science - because it depends on systematic and scientific planning. Profession - because it's a work of professional agencies who follow certain business ethics or a code of conduct. Advertising is impossible without creative thinking. In other words, creativity is the essence (main ingredient or soul) of it. 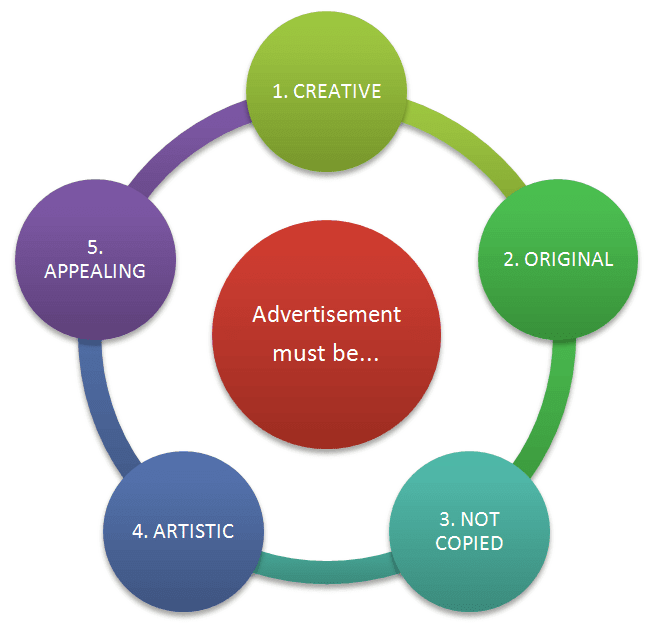 For an advertisement to be successful, it must have some core aspects or fundamental characteristics in it. Attractive or appealing to large masses. Professional AD agencies must hire people with creative minds to make advertisements original and appealing to people. For this, experts who think Out of the box and bring newer concepts, catchy jingles, and display innovative presentation skills must be selected. Hello! Honey Bunny is an excellent example of a creative ad. In India, Idea Cellular Ltd. (A mobile service provider) launched an ad campaign called Hello! Honey, Bunny. This ad was cute and so addictive that it quickly went viral. Advertising is an element of a marketing mix. It supports sales promotion. In today's competitive world, it is getting difficult to sell something. Consumers now-a-days are more cautious and better aware of things they buy and use. They don't easily break their loyalty towards their favorite goods or services unless and until something new allure them in unique way and compel them to give it a try. Developing such a level of attraction is possible only with creative ad campaigns and that's the reason many manufacturers are ready to spend huge money on advertising. Advertising is target-oriented in nature. In general, target oriented means to pay close attention to or keep one's focus only on a particular thing at a given time. In the context of advertising, it means to focus on (i.e. target), or deliver attention towards, purely on a particular group or class of consumers. For example, Audi (German luxury car maker) designs and targets its premium cars to suite comfort, expectations, and demand from a wealthy elite class. In contrast, Maruti Suzuki (a car manufacturer) mainly brings its fuel-efficient sedan cars in the market for middle-class families in India. Advertising is effective only if it is focused or target-oriented. Advertising use persuasion to make people act in a desired direction. Give a creative and compelling presentation of a principal message. Grasp people's attention, repeat exposure and stimulate their senses for a quicker recognition. 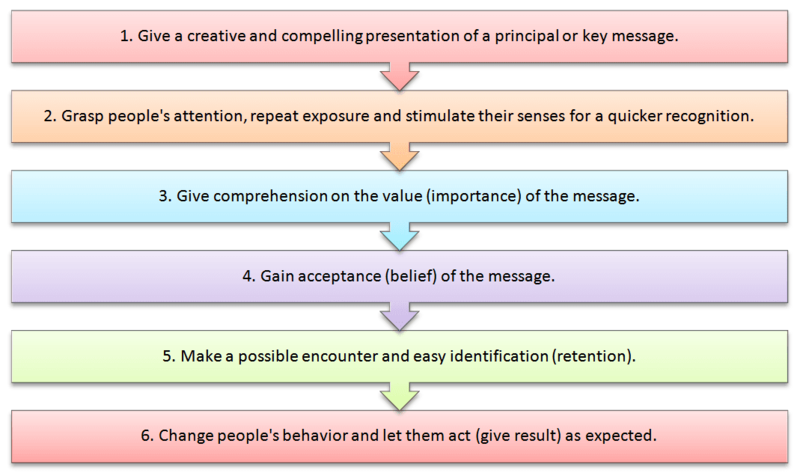 Give comprehension on the value (importance) of the message. Gain acceptance (belief) of the message. Make a possible encounter and easy identification (retention). Change people's behavior and let them act (give result) as expected. Advertising, if done repetitively, helps in generating higher demand in the market for advertised products and services. The rising demand must get fulfilled with an equivalent amount of supply of products and efficient delivery of services. Proper care must be taken to monitor the demand and supply function so that none of the demand remain unfulfilled. If supply is not at par with the increasing demand, then the market may soon lose confidence and demand's downfall may take place. If this happens, the sale will also fall, and the money spent on advertising won't get recovered. Eventually, this may lead to losses. Thus, when advertising results in higher demands, an appropriate supply must be ready to compensate it. The demand and supply function must be well monitored to check that such compensation is proper. Advertising creates goodwill and helps in building a brand's image in the market. Repeated advertisements make branded products and services very popular. People tend to show a more trustworthy attitude towards advertised brands over non-advertised ones. Well-known branded products are usually made from quality raw materials and hence are preferred by most consumers. As a result, the demand for branded products increases. The rise in popularity and building of trust gradually helps to increase the value of the brand name. Eventually, this boosts sales of branded products and services. It also popularizes the reputation of that entity who owns these brands. Advertising agencies are constantly in search of newer creative ideas to cope with the rising demands from their clients (advertisers). Each ad assignment (project) requires a high-level of mental labor. There are deadlines within which projects must be completed and submitted. Furthermore, the concept of an ad must be also welcomed (approved) by the advertiser. Overall, this creates a demand of creative people and thus opens new employment opportunities in the field of advertising. It provides employment to deserving candidates who are creative thinkers, directors, cinematographers, artists, models, graphic designers, sales representatives and managers.